Some 61 insurance companies are currently active in Primorye, more than in any other Russian region. What types of insurance enjoy the greatest demand? Are any more insurers expected to enter the market? Are insurers ready for specialization, and what’s in store for the market going forward? 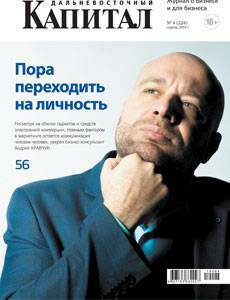 Sergey RAKHMANOV, Director of Vladivostok branch of Ingosstrakh Insurance Company’s, shared his opinions, as a market expert, with the Dalnevostochny Capital magazine. “The most widely used type of insurance in the Far East, as in the rest of Russia, is MTPL insurance. This is quite logical, as it is mandatory and the number of cars in the country is constantly rising, and they are getting newer on average. Interestingly, the number of MTPL insurance contracts for new cars has been rising in the past year in the Primorsky Region, as consumers are increasingly choosing new imports over other options; most of these car purchases are financed by loans and come with full insurance coverage. “As for voluntary insurance products, corporate property insurance is the leading segment and is expanding rapidly, although the growth could be even stronger. One key factor limiting growth is predatory pricing. The recent downturn exposed this policy as inefficient and dangerous, but some companies continue offering premiums at prices below cost in a desperate attempt to attract customers. This does not have a good impact on the quality of insurance coverage. “Russian Federal Law No. 125 “On Insurance for Hazardous Facilities” went into effect this January, and this could help make the segment a new growth area for the insurance industry. Over the first five months, insurers collected around RUB 45 million as premiums in this segment, and total premiums are forecast to exceed RUB 70 million by the year’s end. “This is a fairly significant segment in terms of premiums, but we do not yet have enough data on claims to have a clear idea of whether hazardous facilities premiums are adequate to absorb actual payouts and associated costs. "Nowadays, large federal companies dominate in this segment, but competition is increasing, making the market tough. “There are plans to build in Primorye large petrochemicals plants, gas liquefaction plants, car assembly plants, etc. These plans would expand demand and encourage local and nationwide players to become more active in this market.